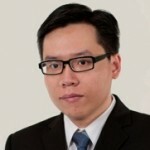 Chipeng HSU is currently completing his International MBA at EM Lyon, specializing in strategy and finance. As an internal consultant at L’Oreal for 4 years, Chipeng performed all functions relating to scientific and regulatory consulting, global project management, risk assessment, and global R&D database administration. In addition to his professional work, Chipeng is an avid volunteer; in 2009 Chipeng assumed the role of project director at NKDA, an NGO that specializes in education and training. Chipeng managed the process of organizational change and team management for 3 years.